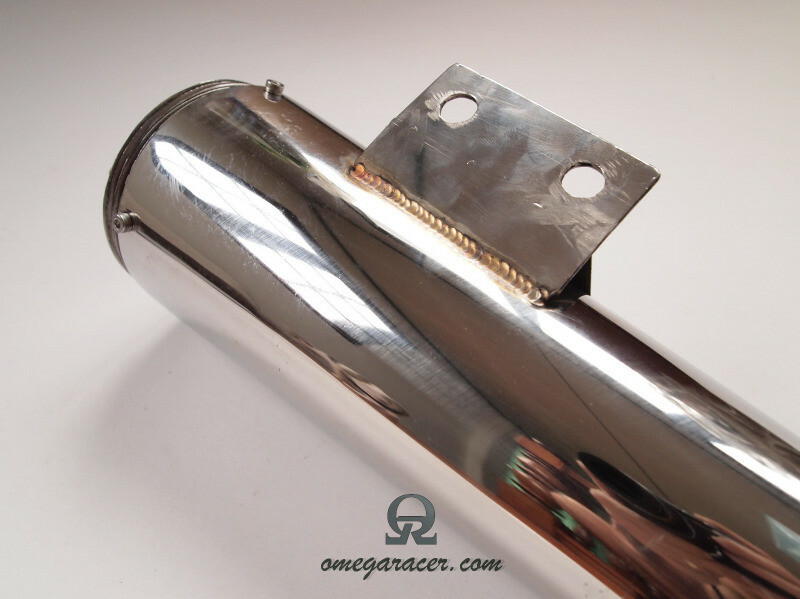 This is a beautiful stainless steel megaphone muffler, following the Supertrapp style. 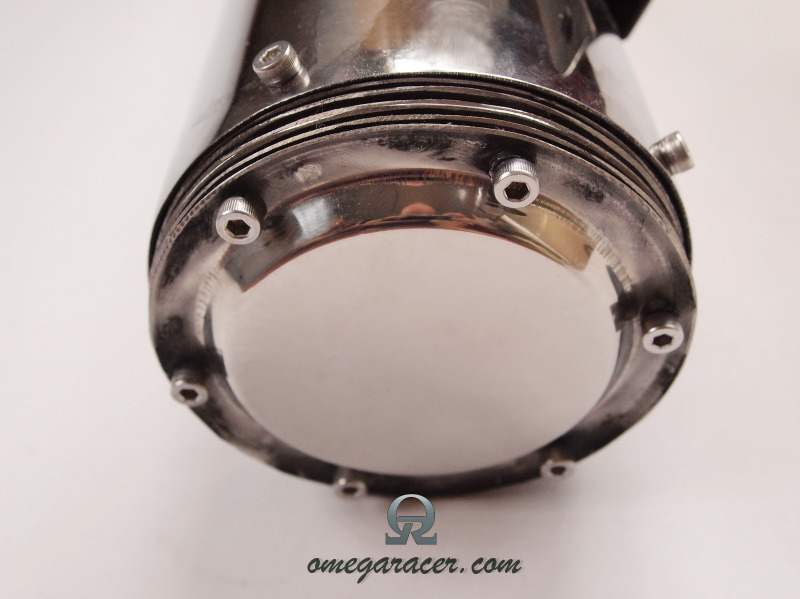 The muffler can be tuned for power and volume with the provided discs. The muffler comes with 5 discs and a closed endcap. 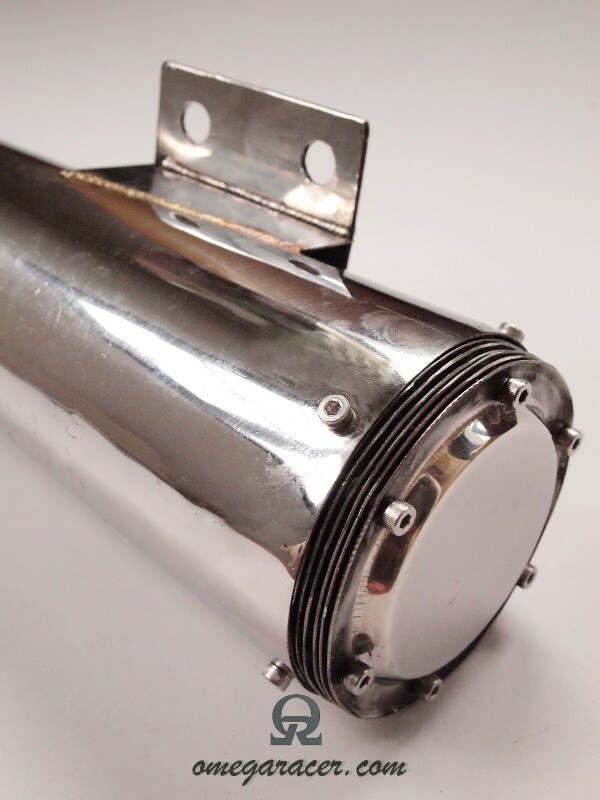 All original Supertrapp accesories can be used with this muffler. It weights 1.5kg and is 50cm long. Check out the video and the sound! 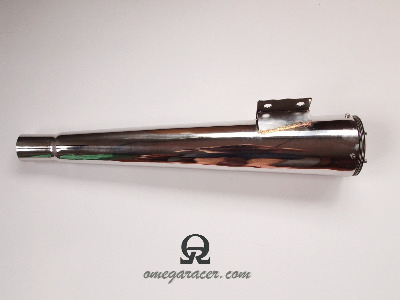 Just received my supertrap style silencer from you and have fitted it to my 1980 Yamaha SR500. After a lot of dollars spent on stainless steel silencers, I finally have one that is not too loud. It has a nice deep note without that characteristic bark of a megaphone. I absolutely love it. It represents great value, I wished I had bought this in the first place.